NSCC and NLCC cadets camped overnight at 5600 feet at the Horse Heaven Group Campground in Cleveland National Forest. They were given instruction in tactical operations in a forest setting and how to make a debris shelter. Cadets were also informed about altitude effects, mountain sickness, and its prevention and treatment. They learned about terrain features, map reading and compass navigation. The first drill of the school year, cadets left with a feeling of accomplishment and bonding with their shipmates. 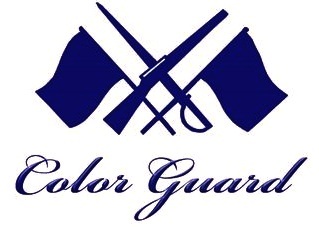 Escondido Battalion provides a color guard services free of charge to any requesting organization. 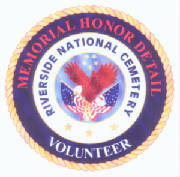 It is considered a community service and an honor. On 25 July 2015, Escondido Battalion fulfilled a request by the San Diego Padres to provide a color guard for opening ceremonies at a home game at Petco Park. Our color guard cadets were honored to present the flag for the National Anthem. And what a proud moment to see our unit up on the big screen! NSCC and NLCC cadets camped overnight at the Escondido Fish & Game Association range from Saturday to Sunday. On Saturday, cadets were instructed in firearm safety and sniper tactics. On Sunday, all cadets qualified on both .22 rifle and .22 pistol. Cadets were eligible to be qualified as Marksman, Sharpshooter or Expert. In addition, the cadets were exposed to a multitude of different rifles. They even got to fire black powder replica Revolutionary and Civil War rifles. While the NSCC cadets were at their annual Flagship competition, the NLCC cadets decided to try their hands at indoor skydiving. Cadets were given complete instruction on how to properly utilize the skydiving simulator. The smiles tell the rest of the story. Escondido Battalion/Training Ship Kit Carson performed their annual swim qualifications at the Washington Street pool in Escondido, CA. Swim qualifications were overseen by former Navy Rescue Swimmer, ENS Welchons. All participating cadets qualified as at least Class Three swimmers, with five cadets earning the distinction of Class One swimmers. The officers at EBN/KIT firmly believe that swimming is a life skill necessary for the safety of all youth in and around water. In addition, many NLCC/NSCC training evolutions require cadets to be swim qualified in order to be eligible to apply. Escondido Battalion/Training Ship Kit Carson joined Desert Eagle unit at the Naval Air Facility in El Centro for a joint drill weekend. Both units assisted the Blue Angels during their practice for the upcoming air show. Cadets were treated to breakfast with the Blue Angel pilots, followed by a rehearsal of their air show. Escondido Mayor, Sam Abed, made a surprise appearance for the Annual Inspection of Escondido Battalion/Training Ship Kit Carson. After the unit inspection, cadets practiced various drills for the Flagship competition between regional units each Spring. Cadets learned land navigation skills such as how to read a topographic map, how to use a lensatic compass, using pace count for measuring land distance, understanding marginal map information, determining direction and time by shadow and using intersection and resection to determine direction.